In college we ate Ramen. It was 100 packages for $1.00 so at any point in time we could afford it. Problem is, they are HORRIBLE. Always over salty and full of a lot of other junk that just isn’t good for you. 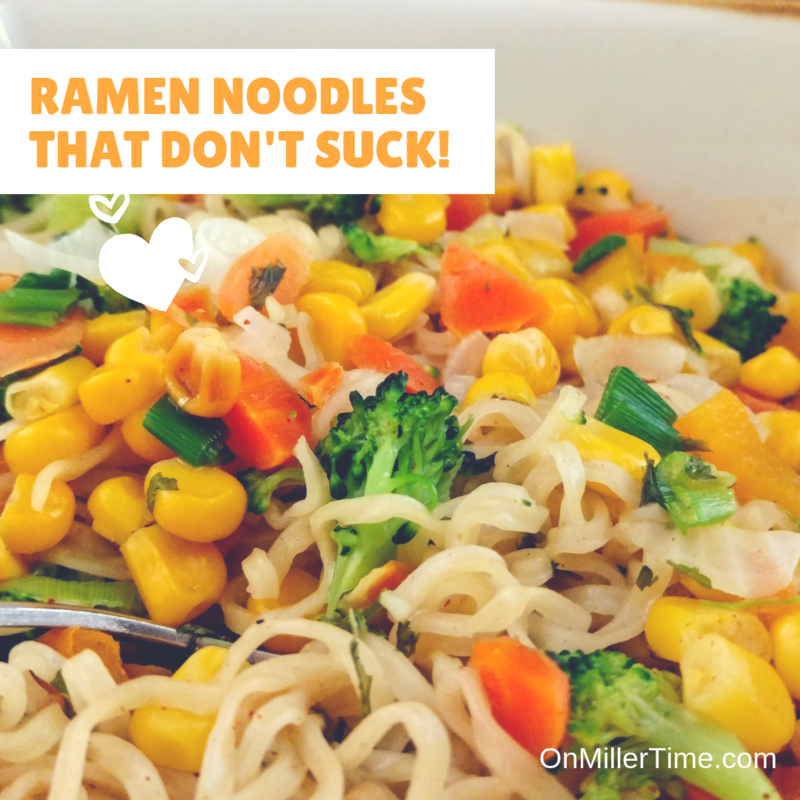 Funny thing is, the noodles themselves aren’t the bad part – it’s the seasoning pack. Just simply throwing that away makes the meal a whole lot better for you. I personally still pick these up once in a while. They are great for quick meals. Check out lunch above. Added some mixed veggies and some real chicken broth and bam…yummy meal! Cooked noodles as directed – threw away seasoning pack. Sauteed the leftovers and dumped in the noodles and cooked for an additional minute. Lunch in under five! What’s your favorite things to mix into ramen?